Our company is a diverse collective of dancers and musicians who hail from a multitude of disciplines and backgrounds. The majority of our company members are celebrated artists in their own light, having toured internationally as leading performers and choreographers in shows such as "Riverdance" and "Swing!". Many of our dancers grew up dancing in our own dance institute. For the past 47 years, Livia has been traveling throughout the U.S., and abroad with her musician/composer husband Bill Vanaver, and company of extraordinary dancers and musicians, collecting and performing traditional dance and music from many cultures. They are acclaimed for utilizing traditional sources in the creation of original works and presenting them for audiences of all ages and backgrounds. Her commitment to creating community through the vehicle of dance has lead her to work with Friendship Ambassadors Foundation in their Balkan Peace and Reconciliation project in Eastern Europe and their program working with families of the victims of 9/11. Ms. Vanaver holds a BFA in Dance from NYU School of the Arts (Tisch). For the past 40 years she has been on the cutting edge of Arts Education programs throughout New York State. A leading authority on dance education, she has pioneered the teaching of world dance styles and Global Citizenry in schools. She was on the faculty of the Academy for the Love of Learning, working closely with Aaron Stern in the initial Teacher Renewal Project. 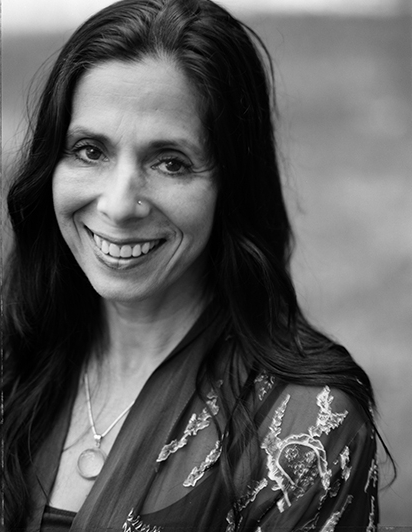 Livia taught dance at Columbia University in the Graduate Theater Program and currently teaches World Dance at Hofstra University. Ms. Vanaver was also one of the founders of Mountain Laurel Waldorf School in New Paltz, NY. Well known musician and symphonic composer, Bill has been playing to audiences throughout the world for the past 60 years. He is known for his stellar instrumental work on 5 string banjo as well as myriad other folk instruments. With his vast knowledge of traditional song and musical styles, Bill performed at the Newport and the Philadelphia Folk Festivals. 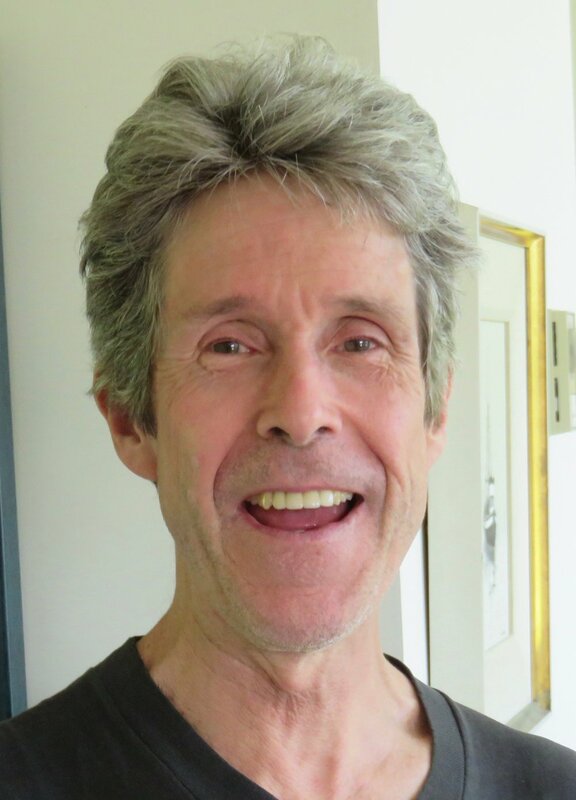 Bill has taught World Dance and Music at Bard and Skidmore Colleges. Since 1985, he has brought his American and World Music and Dance into the classroom as a lead Teaching Artist with The Vanaver Caravan. He has worked closely with students as well as classroom and music teachers to broaden their multi-cultural music, song and movement repertoire. Bill's varied arrangements from swing to bluegrass and beyond on "Pastures of Plenty", (an album of Woody Guthrie's American folk songs) won WKZE's Best Independently Produced Folk Album of the Year Award in the year 2000. Evita Arce is known for her endless energy, high-flying aerials and dynamic movement, specializes in Charleston and Lindy Hop. Since her move to New York she has performed at many of the city’s top venues, including Lincoln Center Plaza, The Waldorf Astoria, and The Rainbow Room. She dances for several other companies in styles of Modern, American Folk, Latin and Swing. Evita’s choreography and partner work have earned her 1st and 2nd place in multiple contests. She has starred in musicals, appeared as a dancer in movies, commercials and recently competed on the Fox TV show “So You Think You Can Dance”. As an international dancer she has toured with Swing Un-ltd, featured in the Edinburough, Scotland Jazz Festival, and teaches/performs at the Cabarets of UK’s Camp Savoy directed by Ryan Francois and Jenny Thomas. Evita currently teaches in New York City and continues to dazzle audiences across the globe. Isabel Cottingham started dancing with TVC at age five. She attended intensives with Central Pennsylvania Youth Ballet, New York School of The Arts, the American Dance Festival, Bates Dance Festival and Dance Across Borders where she studied a variety of forms and genres. Isa co-found a youth dance collective where her original choreography was featured. Isa holds a BA in Dance from Bard College and has a Masters in Social Work from NYU. Amy Fenton Shine is an accomplished dancer specializing in clogging. She has toured throughout the United States and abroad with Fiddle Puppets, mesmerizing her audiences with quick footed, percussive dance. She has danced with The Vanaver Caravan since 1999. Michael Jagger specializes in swing dances from the 1920’s, 30’s and 40’s. He and his dance partner, Evita Arce, perform all over Manhattan including hot spots like The Rainbow Room, The Waldorf Astoria and The Plaza at Lincoln Center. They have made numerous TV appearances. He has danced with The Vanaver Caravan since the spring of 2007. 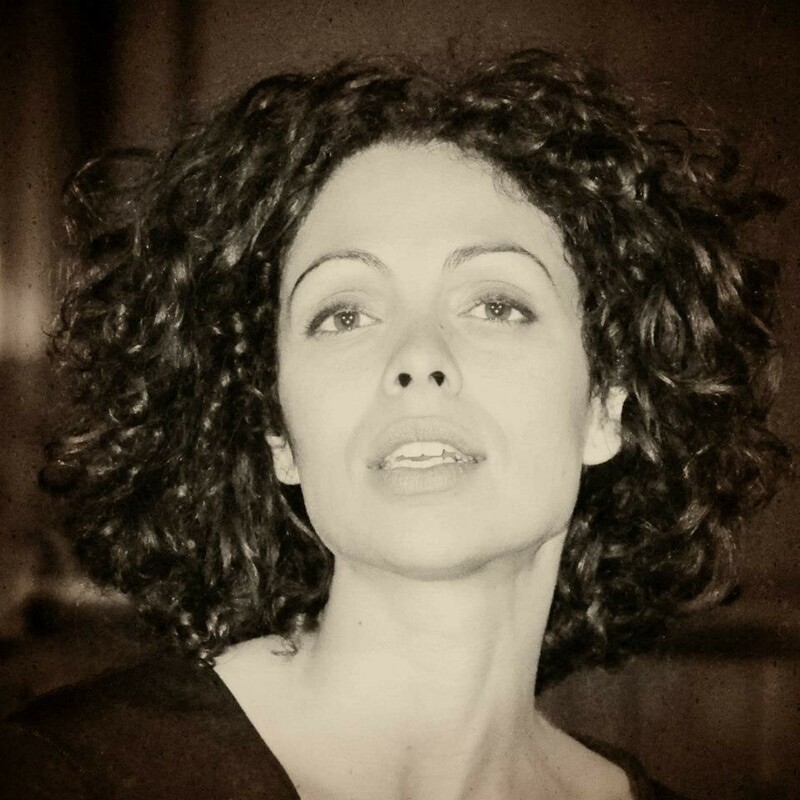 ANNA LIBRADA GEORGES is a classically trained teaching and performing artist with international experience. She has taught percussive dance, flamenco, modern, world dance and yoga throughout the United States, Spain, Italy and Japan. She is the producer and creative director of the Hudson Valley Flamenco Festival. Anna holds a BA of Dance and Arts Management from Emerson College and a Masters Degree of Social Work from Yeshiva University. She lives in Sanlucar de Barrameda, Spain with her husband and two daughters. Rafal Pustelny is a vibrant young dancer and teacher who is passionate about all things dance! After relocating to NYC in 2010 from Poland with his family, Rafal became addicted to the authentic American jazz dance forms Lindy Hop, Charleston and Balboa, and quickly established himself in NYC as a top social dancer. His wide knowledge and skill in various styles has opened many opportunities to work with several regional performance groups including Roddy Caravella’s Canarsie Wobblers, Lindy Hop All-Stars, The Vanaver Caravan, and Polish American Folk Dance Company. Rafal can be found in NYC teaching at You Should Be Dancing…! Studios. Nathan Bugh is an expert in swing and vernacular jazz dance, and is a celebrity in the international Lindy-Hop community. He "rocked the stage" at Carnegie Hall, dancing Lindy Hop with the New York Pops Orchestra; he performed in Harlem’s famous Apollo Theater in Swingin' Frankie's Way; and he danced with The Vanaver Caravan in EarthBeat at Jacob's Pillow. Nathan brought the 20's to life in the Great Gatsby episode of David Tutera's My Fair Wedding. He portrayed the classic, Sing, Sing, Sing, on FoxNC's Fox and Friends Christmas. Nathan is a principle dancer in the feature film, Rebel In The Rye. He has also danced in several music videos, including the Weepies, Be My Honey Pie. As a national competitor, Nathan has taken 1st place in Lindy, Slow Dancing, Solo Charleston, Team, Jill & Jack, and Cabaret divisions. He is one of the most eminent solo-jazz contestants in the world, having won both the Ultimate Lindy Hop Showdown (2012) and International Lindy Hop Championships (2014). Carla Davis was born in Santo Domingo, Dominican Republic, and moved to Senigallia, Italy where she got her start in modern, jazz and Latin dance. She became a member of a contemporary troupe called TeaTroLuce, performing in musical theatre and performance art pieces. After teaching and performing in Calgary, Canada, CarLa returned to Italy to study at Spazio Danza, further exploring her interest in street dance. She has landed in New York City to peruse her passion for street dance. Her experience here includes Afro Brazilian and Capoeira performances. Carla joined TVC in 2014. JOEL HANNA Called “one of the most exciting dancers to ever step on the world stage,” Joel Hanna is a world-renowned dancer and choreographer known for his athletic and boundary-breaking mixture of tap dance, musical percussion, Irish dance, and martial arts. He has performed all over the world in legendary venues and for dignitaries from Queen Elizabeth II to United Nations diplomats. He toured with Riverdance and choreographed and starred in the production Fire of Dance. Quoted by Arun Gandhi, peace activist and grandson of the Mahatma Gandhi, “Joel Hanna is being the change we all wish to see in the world” for creating “Fighting For Change”, a women's Martial Arts program in India. He is currently Executive Director and Choreographer, for The Vancouver Spring Show, and is involved in numerous exciting and ground breaking projects all over the world! Brian Lawton is a classically trained dancer from the Pennsylvania School of the Performing Arts with over ten years of experience in ballet, jazz, lyrical, and modern dance. Brian is also well-versed in both the competitive and social styles of Latin and ballroom dancing as an instructor, performer and award-winning competitor. At NYU he met his wife and dance partner, Samantha Lawton, and the two specialize in the jazz and swing era dances. Brian has been in Shakespeare in the Park’s Comedy of Errors, and was in the original cast of the Broadway show SWING! on Norwegian Cruise Line where he was co-dance captain. Now he directs the show twice a year with Samantha. The two have appeared in numerous music videos including the Red Hot Chili Pepper’s newest video “Go Robot”. Brian and Samantha are happiest when sharing their love of dance with others and helping them find their own love to dance. Marina Lopez began her movement training at three years old and has studied multiple forms of dance from modern technique to Lindy Hop, Flamenco, Capoeira and Appalachian Clogging. Through her study of traditional world dance, she has cultivated a greater appreciation and understanding of her Mexican heritage as well as the stories each dance tells. For Marina, dance is about more than just the steps; the beauty lies in the stories behind them – linking to history, social movements and tradition. At sixteen she began her professional career with New York based company, The Vanaver Caravan, performing nationally and internationally as well as, coordinating and teaching in Arts Education programs around the globe. Marina is a New York State Licensed and California Certified massage therapist and is perusing her B.A. in Neuroscience at Goddard College. She is the co-founder of Shakti Caravan, an international group of visual and performing artists who are united by a big mission to enhance cultural understanding and create social change through movement and the arts. Miranda ten Broeke has danced with the Vanavers since her toes could point and her heels could flex. She is the co-founder of Shakti Caravan, TVC’s umbrella program in India, as well as a dancer, program director, and teaching artist. In addition to her work with The Caravan, Miranda runs a Brooklyn-based events network called the Wilde Hunt, which hosts scavenger hunts, arts festivals and themed dance parties. Her work with TVC has instilled in her a belief that the arts–in all its forms–can be used as a catalyst for social change, and she brings that belief to all the work she does. She has a BA in Education from The New School, and is currently dancing happily between her work in Brooklyn, the Mid-Hudson Valley, and India. Gustavo Caldas is a native of Salvador, Bahia in Brazil. The Caldas family hails from a long lineage of capoeiristas that have practiced Capoeira (an Afro-Brazilian martial arts), Afro-Brazilian dance, and music, which Gustavo began studying as a young child. He toured extensively with Bale Folclorio da Bahia and was selected to teach adult Capoeira workshops. Gustavo offers classes in the practice and instrumentation of Capoeira. His unique talents have allowed him the opportunity to teach and perform throughout the U.S. and Europe with many companies. Gustavo has been performing with TVC for seven years. Ray Davis is a performer, choreographer and teacher born in Kingston, Jamaica and currently residing in the Bronx, NY. He has trained under the BLADE technique with the Hip Hop Dance Conservatory and was the Associate Artistic Director of the Hip Hop Dance Conservatory and BLADE Dance Academy. He is a Principal Dancer for Ground Gripper Dance Company, Syncopated City Dance Company and Balmir’s Latin Dance Studio’s Mambo Tirado. He received the Frankie Manning Ambassadorship. He has travelled this country and to China, Cuba, Barbados, England, Canada, Puerto Rico and Korea to train, perform and teach. Ray has been involved with TVC since 2015. Talli Jackson began his dance training with The Vanaver Caravan and has since gone on to train in the Alvin Ailey Academy and teach throughout New York City. He is currently a full-time principal dancer with the Bill T. Jones company, but comes home to The Caravan on occasion to teach, choreograph, and perform. Samantha Lawton hails from the Bay Area of California, where she trained and competed in tap, jazz, ballet, hip-hop, and contemporary dance at Castro Valley Performing Arts and found a love for musical theatre in high school. Samantha graduated from New York University’s Tisch School of the Arts in Dance in 2011. It was at NYU where she met Brian Lawton, her husband and dance partner. Together they specialize in the jazz and swing era dances and travel the world performing, choreographing, teaching, and directing together. As a performer, Samantha most recently can be spotted dancing in the Red Hot Chili Peppers music video “Go Robot”, and you may have also seen her audition montage as she was a Vegas finalist for “So You Think You Can Dance” in Season 5. In 2015, Samantha was in the original cast of the Broadway show SWING! for Norwegian Cruise Line, where she was co-dance captain and flight captain of the aerial bungee number. Now, she and Brian have transitioned into directing the show and teach a new cast for NCL twice a year. Together the two strive to learn and fuse many styles of dance and the histories and cultures in which they were originated. Barbara Martinez was born in Venezuela and grew up in New York singing opera, studying musical theater and dance. She is a renowned flamenco dancer and singer and has performed with companies such as Andrea Del Conte Danza Espana. She performed in Carmen and La Traviata for The Met Opera. In 2008, she studied cante on scholarship at the Cristina Heeren Foundation in Seville, Spain and in 2010, was honored to be invited to sing at Carnegie Hall to participate in a series put together by William Maselli, featuring world music singers. Today, she spends her time singing for flamenco dance companies like Carlota Santana Flamenco Vivo, Pasion y Arte, A Palo Seco, Sol y Sombra. She also performs as a soloist in NYC, and with a full sextet of flamenco and jazz musicians, in a lush and eclectic repertoire of flamenco, Latin, Sephardic, Middle Eastern and jazz, always interspersed with dance. Emily Vanston has been teaching and performing with the Vanaver Caravan since 2009. After a decade of living and dancing in New York City, in 2015 she moved to the Hudson Valley, where she now teaches swing and percussive dance classes. Photo by Eileen O’Donell Photography. Katie Martucci is a performer (singer, guitarist & violinist), bandleader, composer and teacher living in Brooklyn, NY. Since graduating from the New England Conservatory in 2016, Katie has toured the United States with her trio The Ladles, founded the Tucci Swing Orchestra, released several solo recordings, and scored the National Geographic film 'Glen Canyon Rediscovered'. Katie teaches voice and songwriting at SUNY New Paltz, and leads several ensembles at the Jalopy School of Music in Brooklyn. Katie began performing with The Vanaver Caravan in 2019. Evan Stover (fiddle) has been playing fiddle with The Vanaver Caravan since their NYC Cunningham Studio concert in 1976. He has played with David Bromberg’s Big Band, Walt Michael and Company, and with Jay Ungar and Matt Glaser in the triple-fiddle band Fiddle Fever. Evan performed during the summers when the Arm Brothers, with Dan Del Santo, played every weekend in the early 70’s up at Smitty’s Bar and Grill on the Coxing Kill. Evan joined Bill and Livia in the Manhattan Project’s off Broadway production of A Thousand Nights and A Night in 1977. He cannot think of two more generous and dedicated people to work with on the path towards global peace and understanding, and thanks them for the honor. 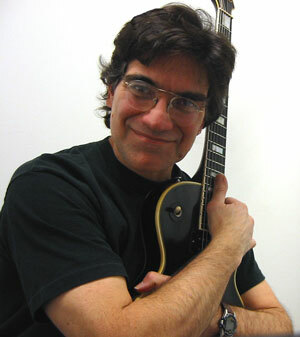 Toby Stover (piano, vocals, percussion) has been performing and touring with The Vanaver Caravan since 1978. A well-known piano player focusing on New England style country and dance music, she has performed with Fennig’s All Stars String Band since 1976 and has appeared with other notable groups. Well versed in many ethnic dance styles including African dance, Toby also performed with Fakoli Dance and Drum. Toby is a teaching artist of ethnic dance and drumming with TVC. Henry Chapin (bass) has a BA in Music Composition and Theory and an MA in Arts Administration from Columbia University. Henry has taught music and performed through arts-education residencies. He has also performed, directed and Fooled in numerous seasonal “Revels” productions. He is a Bouwerie Boys Morris Dancer, and in the Yuletide season does his best to herd the Hudson River Mummers. When he is not working to restore the almost-lost art of singing to New York City school communities, Henry calls traditional American family dances with the Carnegie Hill Band and the Hell’s Kitchen Cookers at the 92nd Street Y’s Harkness Dance Center. Henry has performed with The Vanaver Caravan since the 70’s. Cynthia is a New York-based music director and pianist. She works mostly in the New York theatre scene, though she also performs as a session keyboardist and singer. Most recently, she worked on the Broadway production of Anaïs Mitchell’s Hadestown, currently playing at the Walter Kerr Theatre in New York City. Other recent favorites include Moulin Rouge! at the Emerson Colonial Theatre, and the Broadway-bound musical Lempicka. As a composer, she has also been featured at venues such as 54 Below and the New York Musical Theater Festival. Linda Richards (vocals) ‘The Hudson Valley Songstress’, has entertained the people of the Hudson Valley from school auditoriums to the decks of the sloop Clearwater for over thirty years. A long time member of the Clearwater staff, her renowned Power of Song program for youth musicians performing “cause music” grew and delivered message music to thousands of people. She is a regular on stages at Clearwater’s Great Hudson River Revival, with a variety of rock and roll bands, and has performed with TVC since 2014. Andy Teirstein (fiddle, mandolin, harmonicas and other instruments) His work has been described by The New York Times and The Village Voice as “magical,” “ingenious,” and “superbly crafted.” A student of Leonard Bernstein, Teirstein has received awards from Meet the Composer, The National Endowment for the Arts, The New York Foundation for the Arts, and ASCAP. His eclectic background has led him to successful collaborations across a variety of genres, including film scores, music-theater works, and music for choreographers. Andy loves performing with the Vanavers, and appeared with The Caravan at Jacob’s Pillow way back in 1982. CDs of his music include "Open Crossings," “Mannahatta,” and “Welcome to Willieworld.” He is currently an Arts Professor in the Dance Department of Tisch School of the Arts at New York University, where he is directing Translucent Borders, a research group looking at the role of dance and music at borders around the world. Mark Murphy (bass) is known throughout the States for his tasteful and yet driving bass playing in traditional and original acoustic music. He has toured and recorded in the U.S., Canada, The British Isles and Europe. Mark played back up for Guy Davis on Late Night with Conan O’Brian. He was also part of the cast for Boston Fancy, filmed for the National Archives. He played on Pete Seeger’s Grammy winning recordings “Pete at 89″ and “The Rivertown Kids”. Mark also played on a third Grammy winning recording in the Children’s Music category, the Okee Dokee Brother’s, “Can You Canoe”. He was also on a Prairie Home Companion with Michael McCreesh and Company. Fode Sissoko (West African dance & drum) is an 8th generation Mandinka Griot from Senegal. A master on the Kora and Djembe, he is also a choreographer, has danced with the National Ballet of Senegal, and dances on stilts. Fode is the creator of Fakoli Dance and Drum, an organization devoted to promoting understanding through music, dance, drum and cultural exchange. Meet the Rest of the Vanaver Family.